B2B marketing attribution is an increasingly critical component of the B2B marketing technology stack. Because its function is to connect marketing to down-funnel sales data, including revenue, it’s necessary to effectively execute a full-funnel marketing strategy. 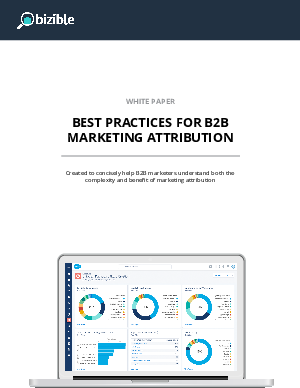 This white paper outlines best practices for B2B marketing attribution, from what metrics should be prioritized to tracking touchpoints to reporting and forecasting using attribution data.